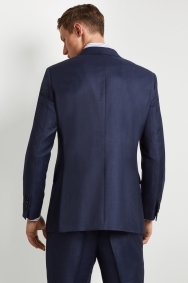 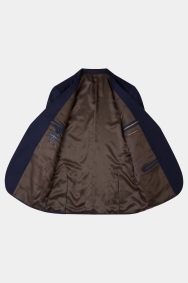 Whether it’s for work or a special occasion, you can’t go wrong with this blue marl jacket. 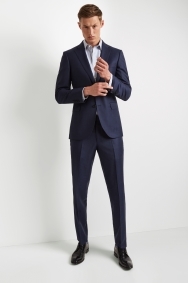 Expertly crafted using the finest Ermenegildo Zegna cloth from Italy, it embodies the simple elegance every man needs in a suit. 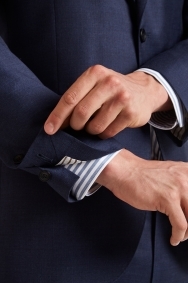 The blue tone can be easily styled with shirts and accessories, plus the regular fit ensures it’ll always be comfortable to wear. 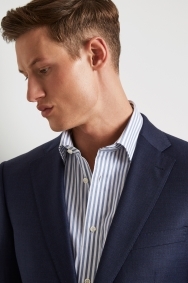 For an effortlessly smart business look, team this jacket with the matching trousers and a button-down blue striped shirt.